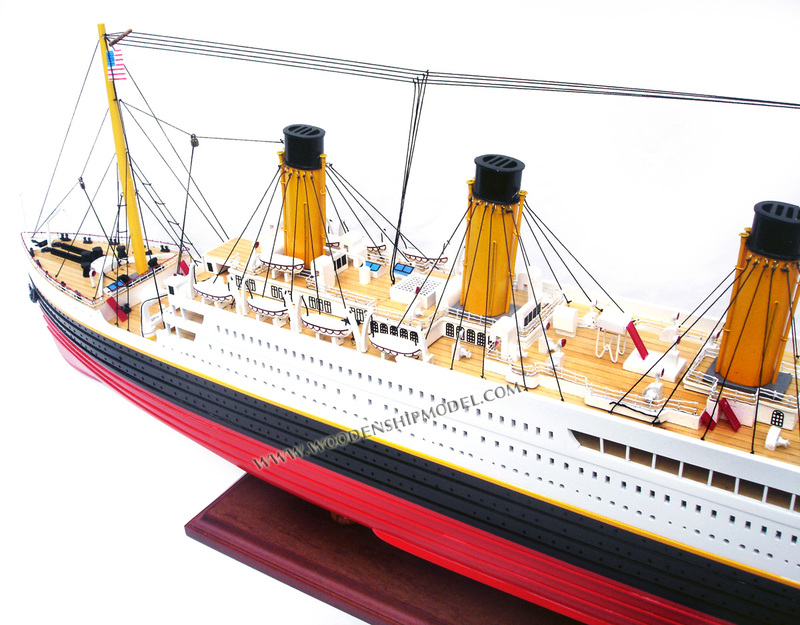 Our model is scratch built, planks on frame construction and painted as original color. Model is ready for display. 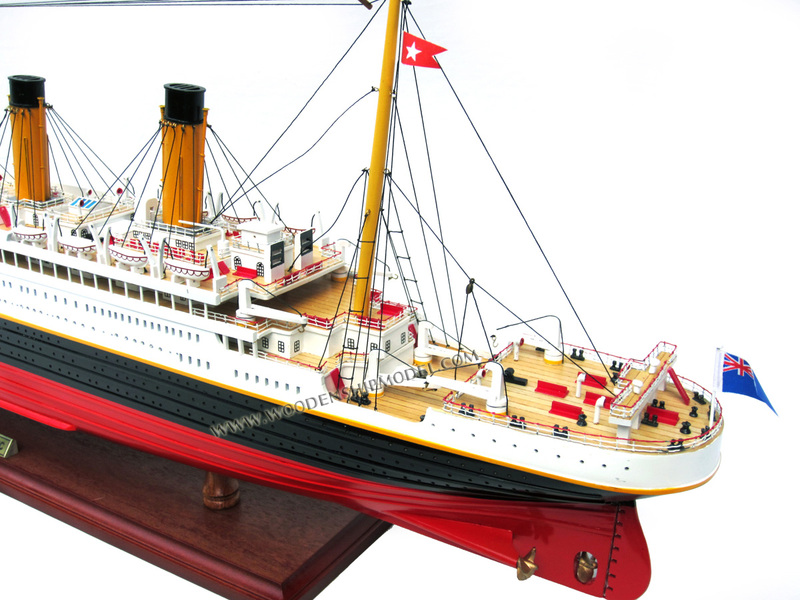 The Royal Mail Ship TITANIC was the last grand dream of the Gilded Age. It was designed to be the greatest achievement of an era of prosperity, confidence and propriety. Although no one knew it, the world was about to change drastically. Radio had been invented in 1901. The Wright Brothers' first successful flight was in 1903. The old presumptions about class, morals, and gender-roles were about to be shattered. 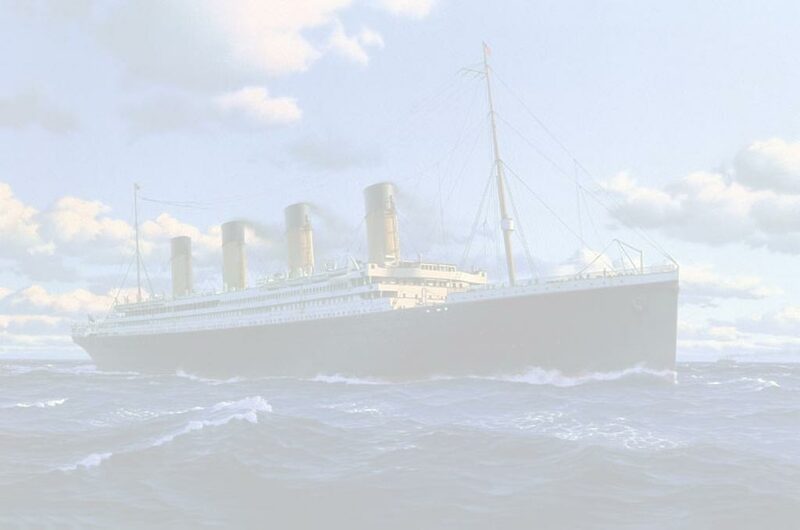 If the concept of Titanic was the climax of the age, then perhaps its sinking was the curtain that marked the end of the old drama, and the start of a new one. The intensely competitive transatlantic steamship business had seen recent major advances in ship design, size and speed. White Star Line, one of the leaders, determined to focus on size and elegance rather than pure speed. 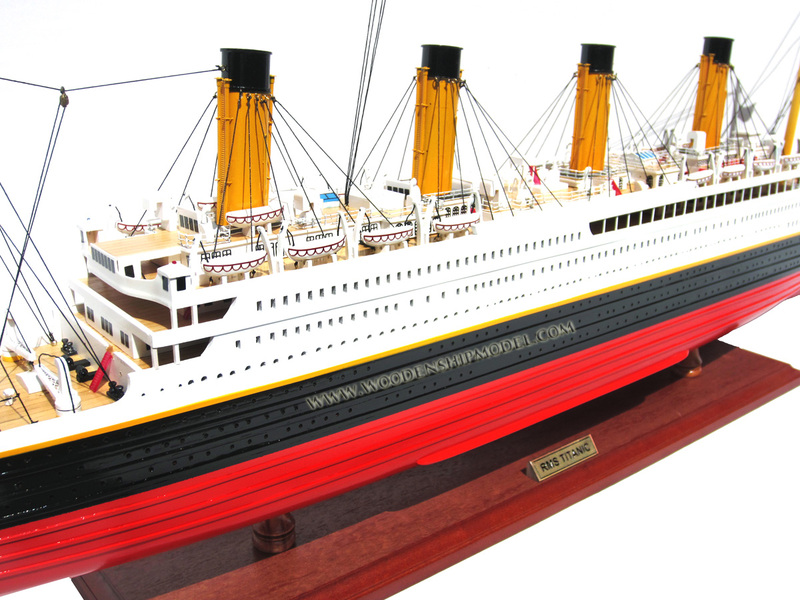 In 1907, White Star Line's managing director J. Bruce Ismay and Lord James Pirrie, a partner in Harland & Wolff (White Star Line's ship-builder since its founding in 1869) conceived of three magnificent steam ships which would set a new standard for comfort, elegance, and safety. The first two were to be named Olympic and Titanic, the latter name chosen by Ismay to convey a sense of overwhelming size and strength. It took a year to design the two ships. Construction of Olympic started in December, 1908, followed by Titanic in March 1909. The Belfast shipyards of Harland & Wolff had to be re-designed to accommodate the immense projects while White Star's pier in New York had to be lengthened to enable the ships to dock. During the two years it took to complete Titanic's hull, the press was primed with publicity about the ship's magnificence, making Titanic virtually a legend before her launch. The "launch" of the completed steel in May, 1911, was a heavily publicized spectacle. Tickets were sold to benefit a local children's hospital. 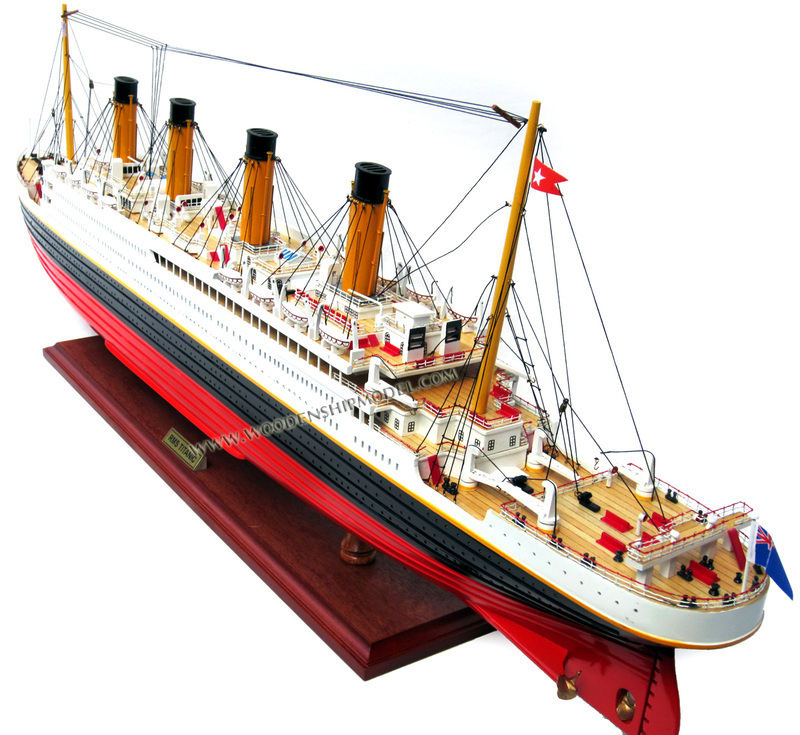 She was then taken for "fitting out" which involved the construction of the ship's many facilities and systems, her elaborate woodwork and fine decor. 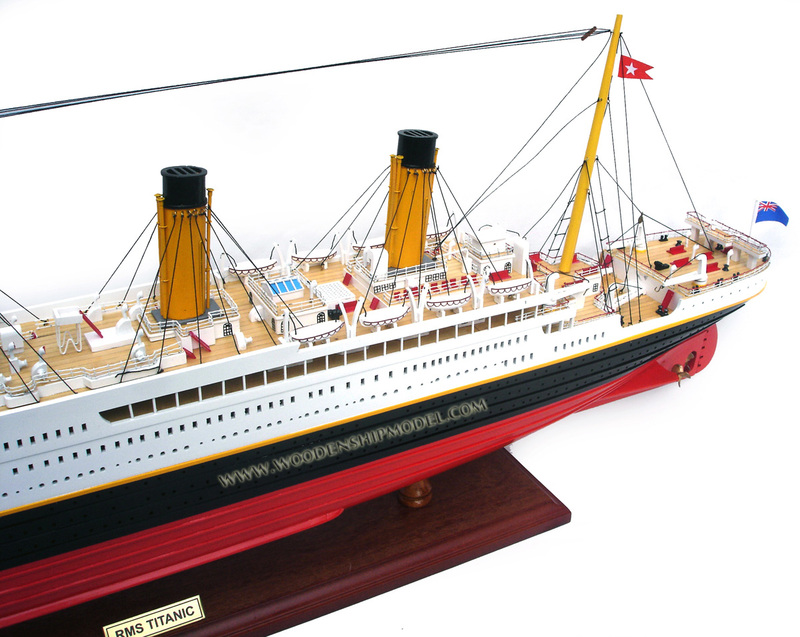 As the date of her maiden voyage approached, the completed Olympic suffered a collision and required extensive repairs, increasing the workload at Harland & Wolff, which was already struggling to complete Titanic on schedule. 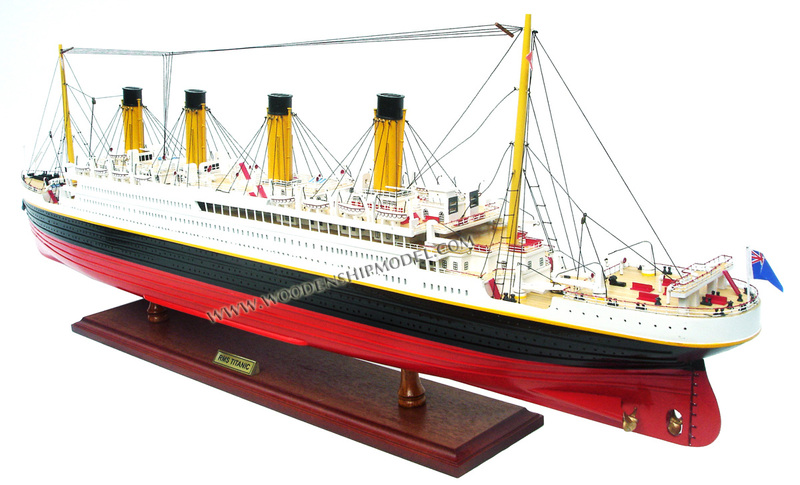 Titanic's maiden voyage was delayed from March 20 to April 10. 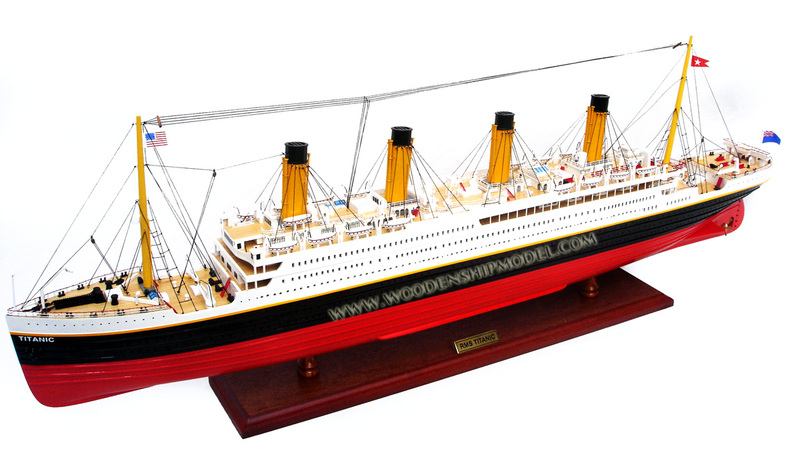 Titanic was 883 feet long (1/6 of a mile), 92 feet wide and weighed 46,328 tons. She was 104 feet tall from keel to bridge, almost 35 feet of which were below the waterline... even so, she stood taller above the water than most urban buildings of the time. There were three real smoke-stacks; a fourth, dummy stack was added largely to increase the impression of her gargantuan size and power and to vent smoke from her numerous kitchens and galleys. She was the largest movable object ever made by man. The ship's immense size and complexity is illustrated by an incident recalled by Second Officer Lightoller. There was a gangway door on the starboard side aft "large enough to drive a horse and cart through." Yet three officers who joined the ship during her preparations spent a whole day simply trying to find their way to it. Moreover, she was designed to be a marvel of modern safety technology. She had a double-hull of 1-inch thick steel plates and a (heavily publicized) system of 16 water-tight compartments, sealed by massive doors which could be instantly triggered by a single electric switch on the bridge, or even automatically by electric water-sensors. The press began to call her "unsinkable." Her accommodations were the most modern and luxurious on any ocean, and included electric light and heat in every room, electric elevators, a swimming pool, a squash court (considered terribly modern), a Turkish Bath, a gymnasium with a mechanical horse and mechanical camel to keep riders fit, and staterooms and first class facilities to rival the best hotels on the Continent. First class passengers would glide down a six-story, glass-domed grand staircase to enjoy haute cuisine in the sumptuous first class dining saloon that filled the width of the ship on D Deck. For those who desired a more intimate atmosphere, Titanic also offered a stately à la carte restaurant, the chic Palm Court and Verandah restaurant, and the festive Cafe Parisien. She offered two musical ensembles (rather than the standard one) of the best musicians on the Atlantic, many of them lured from rival liners. There were two libraries, first- and second-class. Even the third class (steerage) cabins were more luxurious than the first class cabins on some lesser steamships, and boasted amenities (like indoor toilet facilities) that some of Titanic's emigrant passengers had not enjoyed in their own homes. 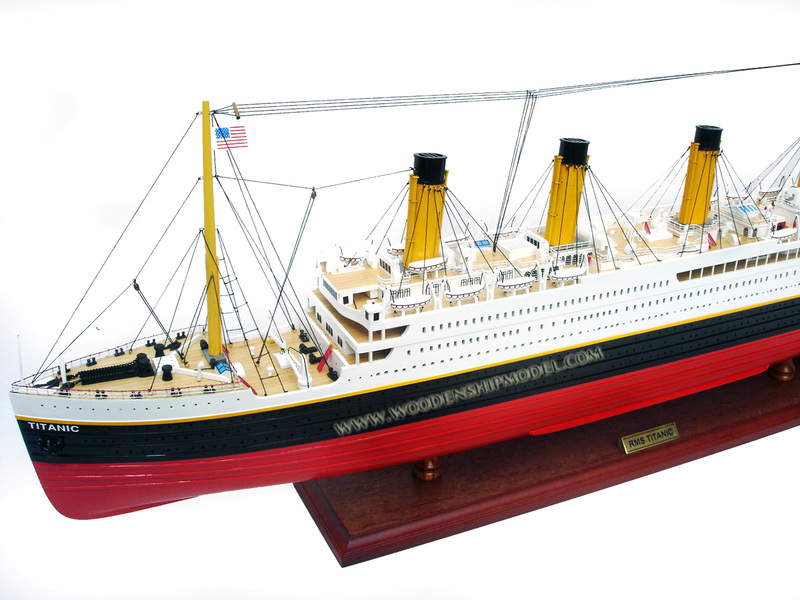 The original design called for 32 lifeboats. However, White Star management felt that the boat-deck would look cluttered, and reduced the number to 20, for a total life-boat capacity of 1178. 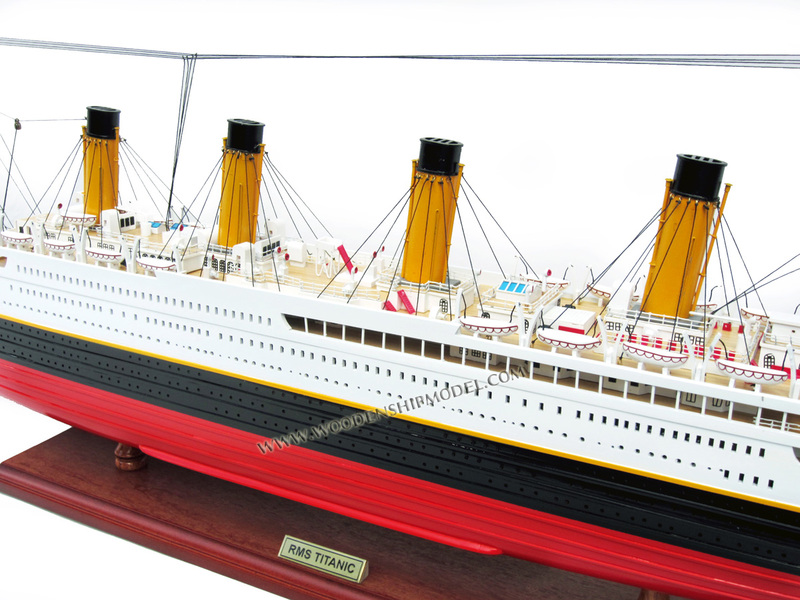 This actually exceeded the regulations of the time, even though Titanic was capable of carrying over 3500 people (passengers and crew). The maiden voyage lured the "very best people:" British nobility, American industrialists, the very cream of New York and Philadelphia society. It also attracted many poor emigrants, hoping to start a new life in America or Canada. The journey began at Southampton on Wednesday April 10, 1912 at Noon. By sundown, Titanic had stopped in Cherbourg, France to pick up additional passengers. That evening she sailed for Queenstown, Ireland, and at 1:30 PM on Thursday, April 11, she headed out into the Atlantic. The seasoned transatlantic passengers were deeply impressed by the new ship. She was so massive that they barely felt the movement of the sea at all. Her huge, powerful engines produced almost none of the annoying vibration common on other steamers, and their noise was barely perceptible. And she achieved this extraordinary level of comfort while traveling at 22 knots, not the fastest boat on the route, but certainly one of the top five. Weather was pleasant and clear, and the water temperature was about 55 degrees. The winter of 1912 had been unusually mild, and unprecedented amounts of ice had broken loose from the arctic regions. Titanic was equipped with Marconi's new wireless telegraph system and her two Marconi operators kept the wireless room running 24 hours a day. On Sunday, April 14, the fifth day at sea, Titanic received five different ice-warnings, but the captain was not overly concerned. The ship steamed ahead at 22 knots, and the line's Managing Director J. Bruce Ismay relished the idea of arriving in New York a day ahead of schedule. On the night of April 14, wireless operator Phillips was very busy sending chatty passenger's messages to Cape Race, Newfoundland, whence they could be relayed inland to friends and relatives. 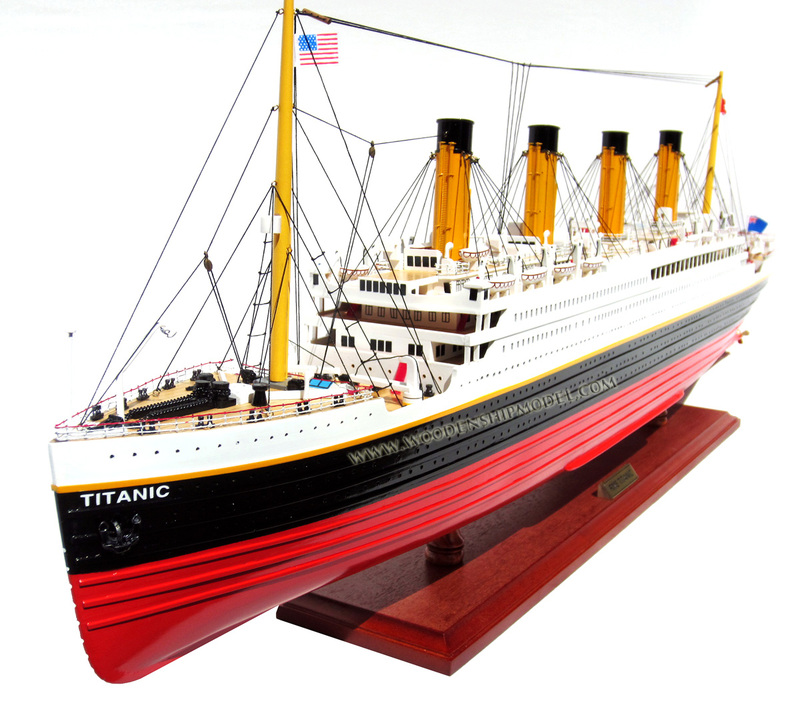 He received a sixth ice-warning that night, but didn't realize how close Titanic was to the position of the warning, and put that message under a paperweight at his elbow. It never reached Captain Smith or the officer on the bridge. By all accounts, the night was uncommonly clear and dark, moonless but faintly glowing with an incredible sky full of stars. The stars were so bright that one officer mistook the planet Jupiter (then rising just above the horizon) for a steamship light. The sea was, likewise, unusually calm and flat, "like glass" said many survivors. The lack of waves made it even more difficult to spot icebergs, since there was no telltale white water breaking at the edges of the bergs. At 11:40, a lookout in the crow's nest spotted an iceberg dead ahead. He notified the bridge and First Officer Murdoch ordered the ship turned hard to port. He signaled the engine room to reverse direction, full astern. The ship turned slightly, but it was much too large, moving much too fast, and the iceberg was much too close. 37 seconds later, the greatest maritime disaster in history began. During that night of heroism, terror and tragedy, 705 lives were saved, 1502 lives were lost, and many legends were born.